This is a course aligned towards helping you apply critical skills, knowledge, tools and techniques to help you meet all the requirements of a project. This course is designed to equip you with the ability to effectively manage projects whether large or small by gaining an in-depth understanding of the project management process. Through this program you will learn how to enhance your management skills and gain a competitive advantage in the job market. Marketable skills that are very attractive to employers and industries both in public and private sector. Effectiveness in planning, organizing and managing projects in order to meet the core objectives of the business. A career in Project Management offers a wide pool of growth and a competitive salary. With the right skills you become a value asset to any company because of your competency in handling projects. This is the first stage in project management. Once you are well versed with these areas, the next stage is the project planning and design. This second stage will equip you with how to plan and design a concrete and practical plan that will help you achieve your strategic goals. You learn how formulate a project plan that will enable you to acquire the needed resources and budgeting costs. This plan gives you and your team a clear direction and in managing all other stages of the project cycle. Additionally, planning will equip you with techniques of mitigating project risks, managing suppliers and costs and delivering within the set timeframe. This stage is the core of project management. The implementation phase is all about producing deliverables outlined during planning. The deliverables for your project include all of the products and/or services that you and your team are undertaking for your customers, sponsors or partners as well as meeting the objectives stipulated in the strategic plan. You will understand how to keep track of your team’s performance to ensure that the customer(s) are eventually satisfied. In this phase, all changes approved are implemented through a keen analysis of project performance and quality control. This course will take you through the process of effectively monitoring your progress, that of your team and the project itself. This stage purposes to answer the critical question, “did we meet our goal?” by analyzing the project implementation against the set objectives, timelines and budget. Monitoring enables you to understand the status of the project at any given stage and time as well as the use of resources. Evaluation will enable you to assess why the intended results were not achieved and the areas of improvement as well as examine the sustainability of the project. The Certificate In Project Management is a 6-day course that takes place from 2:00Pm – 5:00Pm. 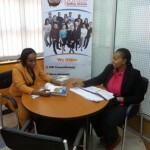 The training is held at our Corporate Training Center in Westlands, Mayfair Suites, 4th floor. This is a class setting with a capacity of 15-20 students. Upon completion of this course, you will receive a certificate of training as evidence of your acquired skills. You will then receive timely feedback on your enquiry, charges and any other relevant information.